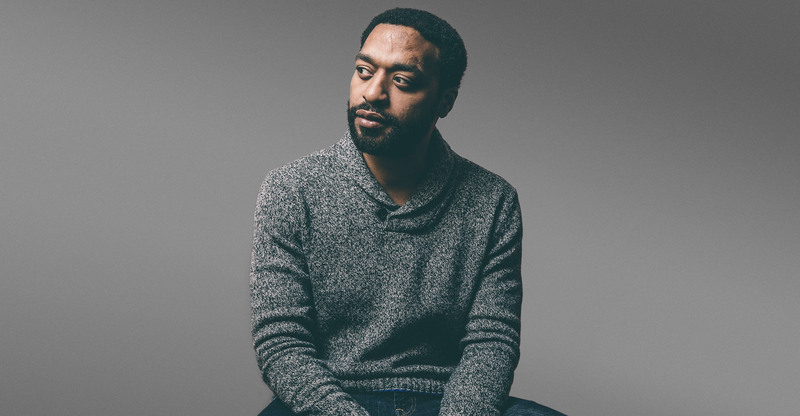 Mr. Ejiofor, how do you feel about the fact that you are the last black actor to have been nominated for an Academy Award? I think that’s crazy! And this is going to be the case right up until early next year… It seems like a very long time since I was nominated, you know what I mean? It’s a very long period of time that has an absence of black males or anybody of color, really, being considered to have been good enough to be in that arena. I hope that’s not something that’s a fixture, you know? I hope I don’t carry that mantle very far. The Academy changed the rules in order to encourage more diversity. Do you think that is a step in the right direction? Hopefully that will bring about some change by the time next year comes around. We have to build proper apparatus so that people don’t feel that they are unfairly treated. I think having real diversity in film is going to increase and improve our understanding of different people, different cultures, different communities. These are important improvements for the way we live and engage with each other. I can’t believe that there’s any serious argument that there shouldn’t be diversity, you know? I still haven’t heard the articulate kind of reaction, the other side of the conversation. I feel like everybody is on the same side here. This lack of diversity not a good thing for our work or for any sense of the media… It’s just not a good thing for the society as a whole. It’s a well-known fact that the Academy skews old and white, not exactly a representation of the population in the United States. Knowing that, did you ever think you had a chance at winning for your role in 12 Years a Slave? How has your Oscar nomination affected your career? I feel like I walk into a room and although people were always interested in what I had to say… After this experience, there’s an alertness to what you’re thinking or doing or saying. I feel like there’s an aliveness to the experience that wasn’t as attuned previously, if you like. You feel like people have more confidence in you? Right. You always want to kind of recapture that. It becomes in its own way, even though it seems like a very small thing, a significant change ultimately in one’s relationship to an industry. People are more interested if you’ve had successes before. That’s going to be the truth with absolutely any kind of professional context; that people are more attuned to what you have to say. And that’s very useful. That’s probably the most significant improvement that you can have through your career. Do you also feel like you have more confidence in yourself? I suppose that’s all part of the equation. It’s about knowing how the pieces fit together and it’s also that sense of knowing when they don’t, and trying to figure out what to do about it, you know? Those have increasingly become the skill sets that you learn. You are able to analyze the danger points earlier and earlier. And that is quite exciting. When I was younger, I wouldn’t know! You played Othello on stage when you were 18 and then you won the Laurence Olivier Award for Best Actor for the same role when you were 30. How did your age affect the way you approached the role? It was a totally different experience. At 18, I’d never been in love, I’d never had a real connection to jealousy, really. Even the kind of race politics of Othello were not something that were particularly known to me at 18. By the time I was 30, all of those things happened to me. Your access to the role is completely different. I felt slightly embarrassed when I came back to it, really, that I’d even attempted it before. Well having said that, I’m sure that if I attempted it again in 20 years or 15 years or whatever, I’d have the same reaction to it again. I think it’s one of those plays, like so many of the really great Shakespearean plays, that throughout your life you’ll find more and more things in the play. But I was so precocious, in a way, when I was in my late teens. I suppose you have to learn that you don’t know anything. And that is what your twenties teach you: you learn how little you actually understand. And what do your thirties teach you? I suppose in your thirties you gain that sense of confidence that I mentioned. I wouldn’t mind being more like I was 20 years ago, though. I sometimes wish for that holistic viewpoint, that you can see everything, that you know everything. But life kind of beat that out of me. We know the mistakes we’ve made, and the mindset that the mistakes have put us in… And so we are very careful to try and negotiate our lives so as not to repeat those things. Yeah, that advantage of having that precocious sense of yourself, that you end up feeling that you can just go out and be an actor at 18 or 19 or younger even, 17. You can challenge all the concepts and notions. Whereas do I now feel like I’m brave enough to do it, just stride out and have a career just because I feel that that’s what I want to be or do? If I was to engage in a complete change of career right now, would I have the strength and bravery and precociousness to think that I’d be good at it? Probably not. As we get older, we’re not necessarily as brave or as engaged with the world as we might be. But acting requires that fearlessness, doesn’t it? It’s easier to get to a standard that is good or okay, but to have those magical moments, the ones that require real trust or bravery or letting go… Essentially it’s like a baseball metaphor. To get those moments, you’ve really gotta swing for the rafters! You’ve got to try and hit it out the park — although you might miss. It’s harder to watch the misses, it’s harder to be criticized, it’s harder to be negatively reported on… But you do also always want to feel that you are trying to hit for the back. You’re always trying to hit it into the rafters, and damn the consequences if you don’t make it.